Jen is a Danville native, graduating from DHS in 2000, DACC in 2002 as Valedictorian with an associates degree in both Marketing and Management, and American Academy McAllister Institute in 2009, with an associates degree in Mortuary Science. Jen is also the owner of Kruger's ATA Martial Arts Inc. in which she holds a 3rd Degree Black Belt. Jen is a member of Danville Ambucs, is past president of Danville Sunrise Rotary, a past president of Danville Executive Club, and secretary of Vermilion County Funeral Directors Association. Jen is a licensed Illinois and Indiana Funeral Director, an IL Notary and is licensed to sell Life Insurance in Illinois as well. Michael is a lifelong resident of Vermilion County, growing up in Catlin, and currently residing near Bismarck. Michael has multiple associate degrees in computer science, for computer programming and networking administration, which he puts to good use to maintain our computers and websites. Michael has been with Pape’s since March 2012. Michael is an AAMI graduate in 2017 with degree in Mortuary Science. 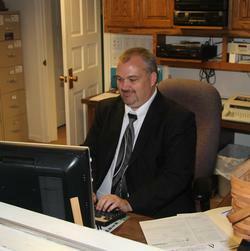 Michael in his spare time enjoys working on genealogy, and anything to do with history in and around Vermilion County. One of his projects is http://www.VermilionCounty.info, which documents the cemeteries in and around Vermilion County, where Michael has personally taken over 400,000 pictures of cemeteries and headstones. 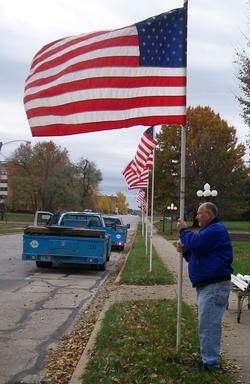 Michael is also the Cemetery Coordinator board member for the Illiana Genealogical & Historical Society in Danville. Michael has been able to take this love of his to take over and maintain the Pape Genealogical Database, which can be found at http://www.papemortuary.com. Michael is married, and enjoys spending time with his son Nathan. Kristen Unakis is a Georgetown native and lives there with her beautiful daughter, Jayah. She is a graduate of Georgetown- Ridge Farm High School and is currently pursuing her marketing degree at Danville Area Community College. In her spare time Kristen enjoys reading, watching movies, and attending activities in the community. You can find Kristen spending time out doors or cheering on her daughter in her many sporting events. She is a member of the Pine Crest PTO, Georgetown First Church of Christ, and active in her daughter’s Girls Scout troop. Alan started with us on a part-time basis in early 2015, and came on full-time in October of 2015 after working for 34 years at Colonial Manor Nursing Home in Danville. He helps maintain both the beautiful outdoor landscaping, and assists with the gradual remodeling and updating inside as well. Alan is also cross-trained to park cars for services, greet during visitations, and lend a helping hand wherever for whatever is needed. Steve has been with Pape's since 2001, and wears a variety of hats, from working visitations, parking cars, driving lead, and running errands - his dedication shows no end. Steve enjoys traveling, especially to Arizona with his wife Christine. Rex and Cheryl have been with Pape's since 2012. Cheryl works part time at Carle as a radiologic technologist. Rex is a member and treasurer of Furtherlight and Anchor Masonic lodges. Both Rex & Cheryl love to travel, especially on their motorcycles. They are members of Bismarck 1st Church of Christ, where Rex is an elder. Austi was born and raised locally, recently moving to Danville from Covington. She is the mother of two one-year old twins and currently a student at AAMI pursuing her mortuary science degree. She holds a 2nd Degree Black Belt, and also works part-time at Kruger's ATA as an After-School Program Volunteer. Austi can be found assisting with your loved one's care, doing office work, answering the phones, and learning how to work both visitation and funeral services. Kelly & Montel have been with the funeral home for about 2 years. Kelly is the Worthy Matron in the Order of the Eastern Star. Montel is a past Master and member of Olive Branch Lodge, and also a Danville Auxiliary Policeman. Gabe helps around the funeral home, doing many of the little jobs that are needed to be done to keep the funeral home up and running. He is a 3rd Degree Black Belt in TaeKwonDo, lives in Danville, and currently attending D.A.C.C.